"The iLevel helps me stay independent, allowing me to reach high shelves when shopping." 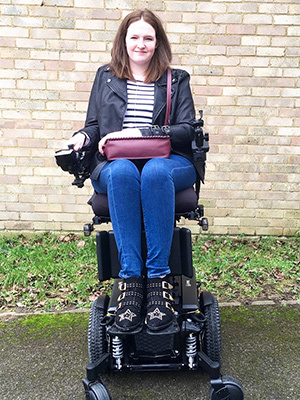 Shona Louise is a blogger and disability activist, and her Q6 Edge® 2.0 with iLevel® helps tremendously in maintaining her independence. Blogger. Disability activist. power chair user. At just 20 years old, Shona Louise wears many hats. 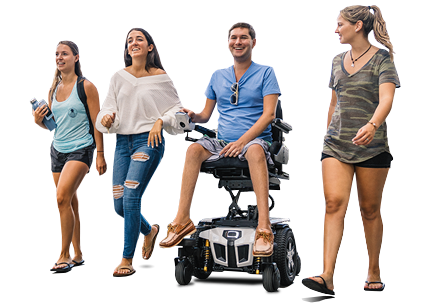 Armed with a new Quantum Power Chair, Shona can do even more to make a difference in the lives of others. Shona lives in Hertfordshire, United Kingdom. She has a condition called Marfan Syndrome, as well as other secondary medical conditions that have slowly reduced her mobility since the age of 16. Faced with limited mobility, Shona uses her Q6 Edge® 2.0 with iLevel®, which helps tremendously in her day to day life. Shona’s previous power chair limited her, keeping her mostly housebound. With her Quantum power chair, she can tilt and recline back, helping reduce pressure on her spine, which reduces her chronic pain. Now she can go out several times a week. “The electric functions on my power chair have proved to be the most life changing for me,” Shona said. As a disability activist, Shona strives to improve accessibility and educate the public on the issues disabled individuals face. Shona advises groups and organizations on how to be more inclusive. For example, she helps local businesses get ramps installed to make their locations more accessible. 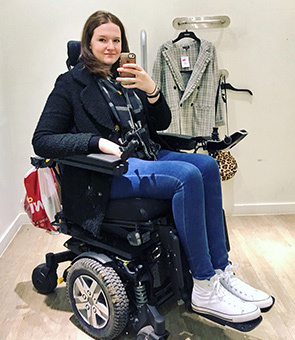 As a blogger, she covers many topics and has interviewed a variety of individuals, including Paralympians, disabled actors and other campaigners who work to improve the lives of disabled persons. Over the past year, Shona has been featured heavily in the media, including national news in the United Kingdom. It’s been a great experience for her, helping to bring awareness to issues that affect the disability community. “The disabled community is so welcoming and I feel empowered when I’m within it,” Shona said.